To ensure excellent software quality, we use well-defined development processes which are based on modern and established frameworks. Using agile methodologies – like Scrum or Scaled Agile Framework (SAFe) – allows flexibility in projects, so that the end goal is moldable and becomes more clearly defined during the project. This enables efficient and easy adaptation on changing conditions and prerequisites. Continuous improvement of processes and tools speeds up the development and deployment. To be able to ensure and keep high quality standard, it is mandatory to make it measurable. Therefore we continuously use tools for static and dynamic code analysis as well as for evaluating test coverage. 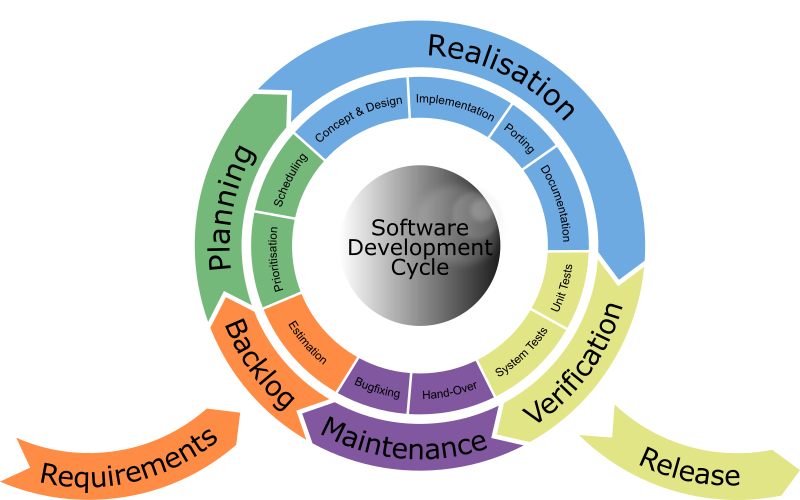 The diagram below shows the timelines of test coverage and complexity of an Inaris core component (Service Manager). Although the complexity (number of conditions) is more than doubled, the condition/decision coverage of the unit test is kept on a high level – and even increased. It is a real pleasure to work with the experts from TARA Systems. Beside of the technical skills in DVB & AndroidTV, they have always been fully engaged and reacted fast in a very professional manner to challenges and changes during the ongoing project. They are driven by passion and high responsibility to meet our expectations in quality, feature set and timeline. It is a very homogeneous team which I pretty much like to work with. I am looking forward to cooperate also in the future. We really appreciate to work with TARA Systems as an integration partner for our client devices. We can rely on getting high-quality software on time. TARA's framework of guidelines, processes, methods and tools for embedded software engineering constitutes an enormous advantage over its competition.